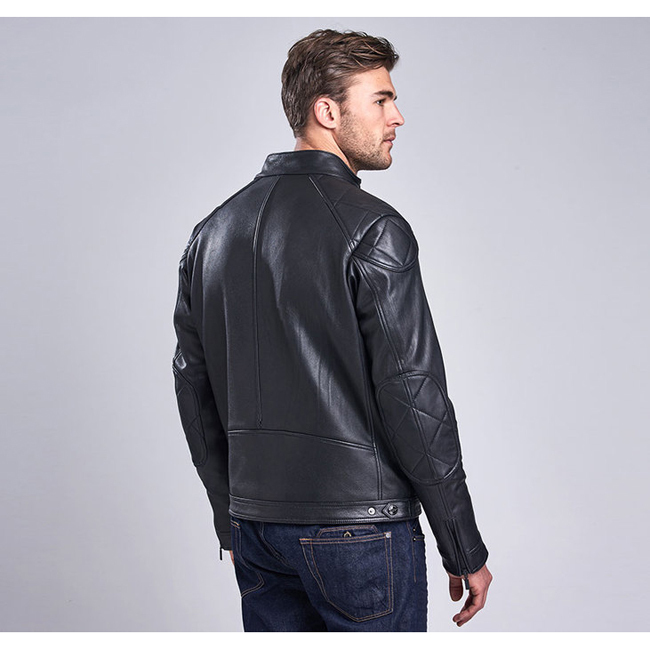 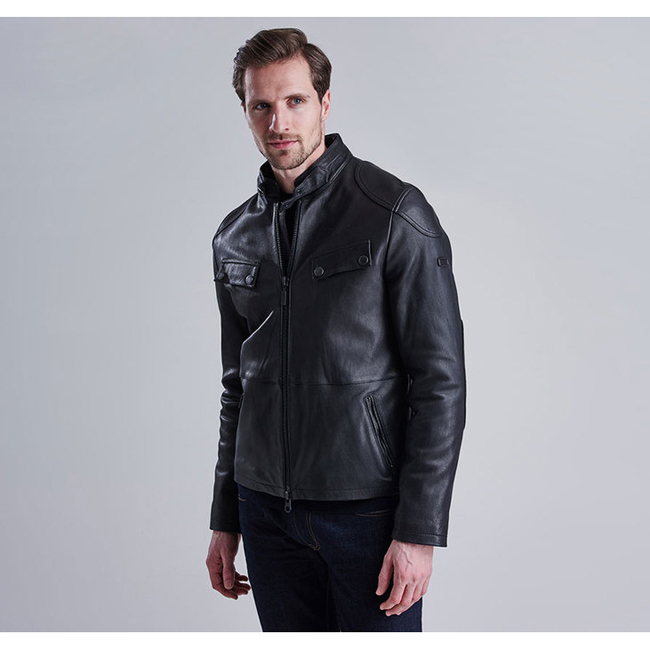 This authentic men's leather biker jacket is part of a collaboration between two iconic names in British motorcycling: Barbour International and Triumph. 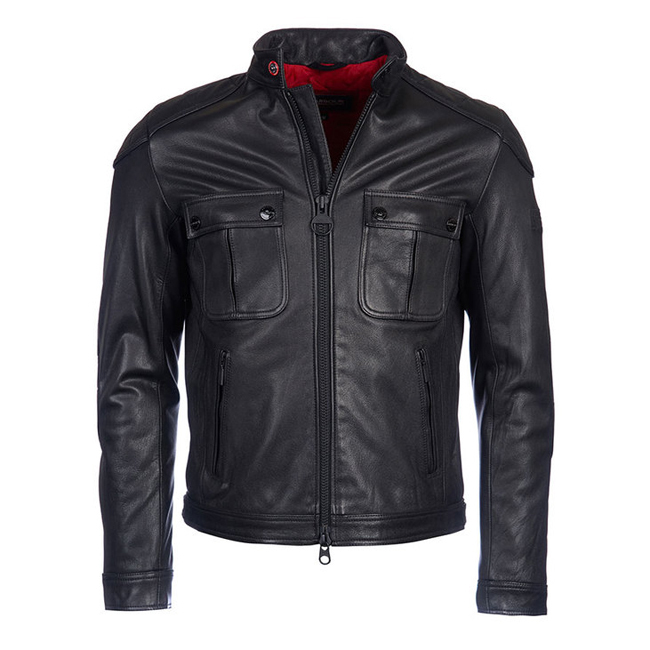 The Sahara leather outer is teamed with a contrast box-quilted inner, which provides extra warmth. 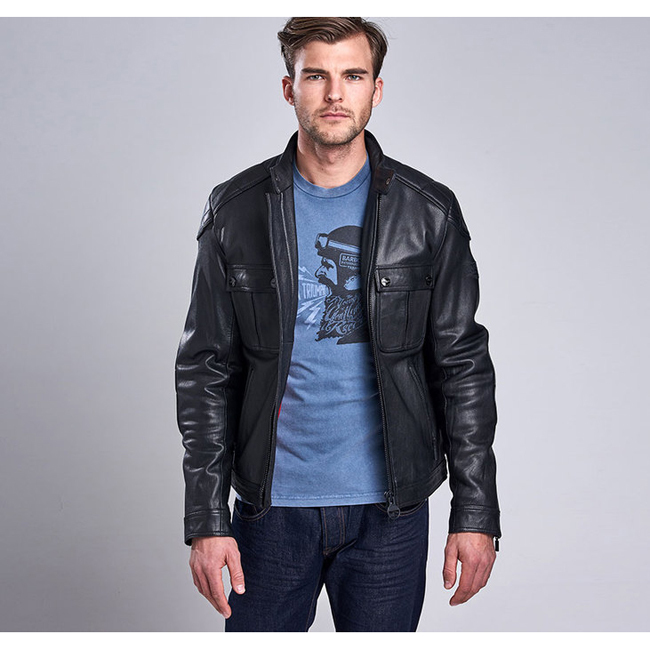 Finished with embossed branding to the wearer's left arm.